CARLSBAD — The Carlsbad Unified School District administration is rolling along with its $265 million school bond. The district held two public meetings — on Jan. 9 and Jan. 15 — to break down the first phase of Measure HH. There, parents and residents engaged with the district about plans to upgrade security measures, adding natural light, near full renovations for several elementary schools and installing science, technology, engineering, arts and math (STEAM) labs on every middle and elementary school campus. The two meetings were just the first of nearly a dozen the district administration will hold through March. As part of its project timeline, the district is encouraging feedback from parents, residents and other stakeholders to fill any gaps, especially with the STEAM labs. 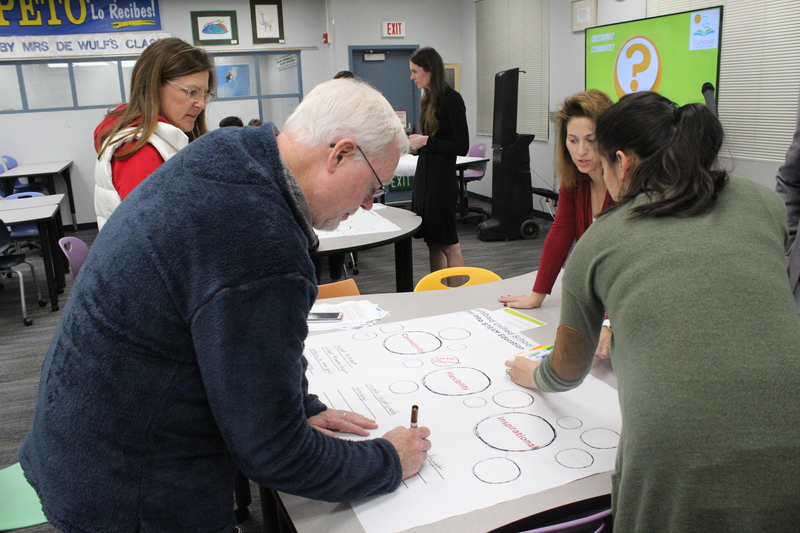 During the Jan. 9 meeting at Valley Middle School, about nine people attended and discussed ideas on how to best approach the labs and other aspects of the first phase. Broken into three groups, one major theme to emerge from all was connectivity, especially with strong wireless internet service so students could engage in a variety of work, problem-solving or connecting with other schools and students in and outside the district. In addition, officials discussed the timeline — four main phases over the next 12 years, with a fifth phase schedule based on the amount of state matching funds — security upgrades and the complete renovations of several schools. Several attendees asked if residents would be able to continue to run their dogs on school grounds (district policy does not allow for dogs) and how the state-of-the-art relocatables will be incorporated. Two residents, Martin Danner and his wife, who both were part of the first class at Valley in the 1970s and are now in their 60s, said education has come a long way since their days in school. Both said adding natural light through windows or skylights would be beneficial to help with learning. Also, the Danners said the STEAM labs were a great idea. Danner, who was an engineer and worked for Morey Boogie Boards, which Tom Morey invented in Carlsbad, said there is another opportunity with STEAM labs, connecting with experienced professionals. He wondered aloud if he, or others like him, might be able to volunteer time with the students to help learn different aspects of engineering within the scope of their projects.